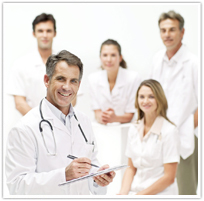 Medescribe is your complete healthcare management service provider. Since 2001, Medescribe has transformed thousands of physicians, clinics, and hospitals by working together with them on all their healthcare needs leading to enhanced productivity and significant reduction in overhead costs. daily/weekly/monthly basis and proactively identifies and addresses potential problems before they arise and uncover opportunities for you.